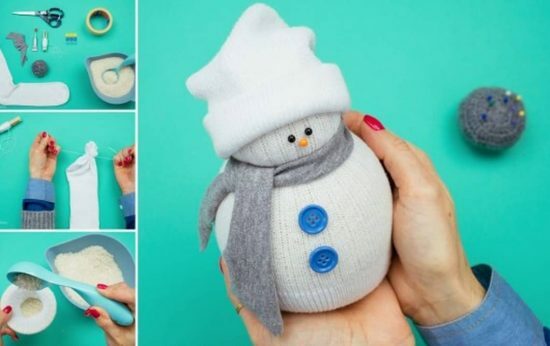 If you are on the hunt for the cutest Holiday project, you will be bowled over when your eyes spy these super cute Sock Snowman ideas and there’s something for everyone. 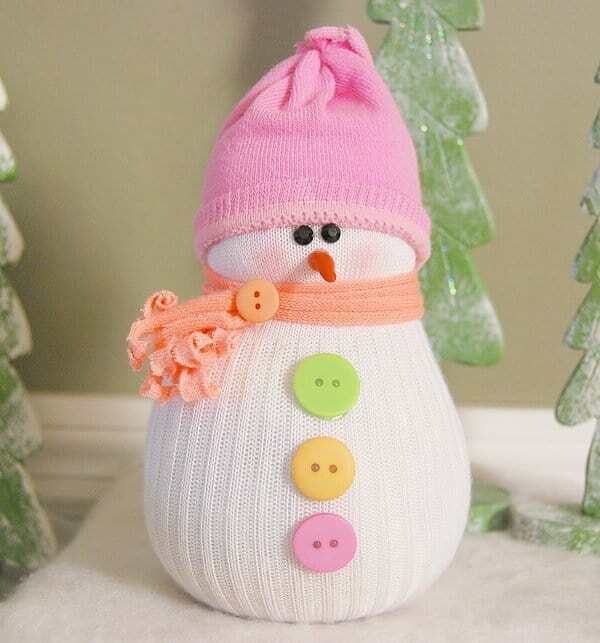 Imagine our delight when we stumbled across these cute Sock Snowmen. It’s clear that Kris has some talent as she is the very talented creator and we are head over heels! They are made with a sock and needle and thread. The body is filled with fiberfill or you can even fill them with rice. They need to sit on their base comfortably, that’s why rice works well. She used colored socks for the hats. You can also use buttons and bits of fabric for the scarves too. Over on the Dark Room Dearly you can find another Sock Snowman. They look adorable with their checkered scarves. An easy way to make their face is to use pins. 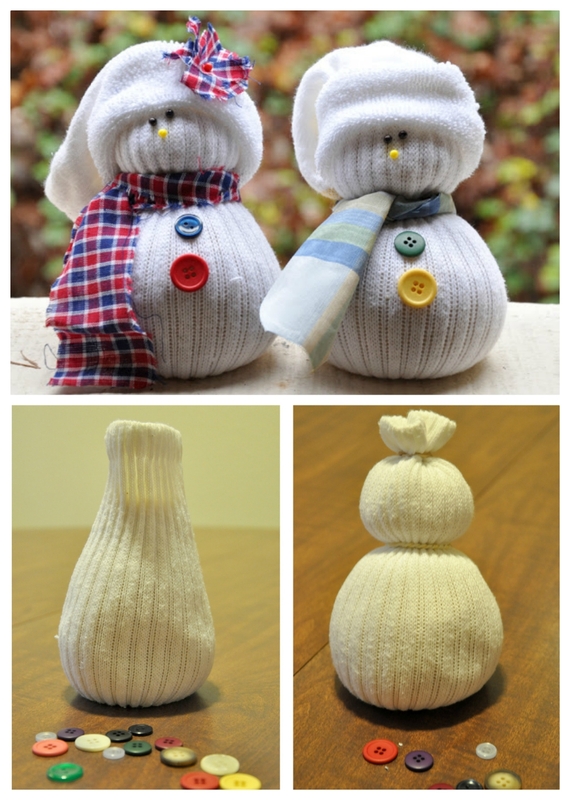 We love these cute Snowmen from our friends at Handimania. As you can see they are very simple to put together. Why not make a whole family or give as cute gifts. 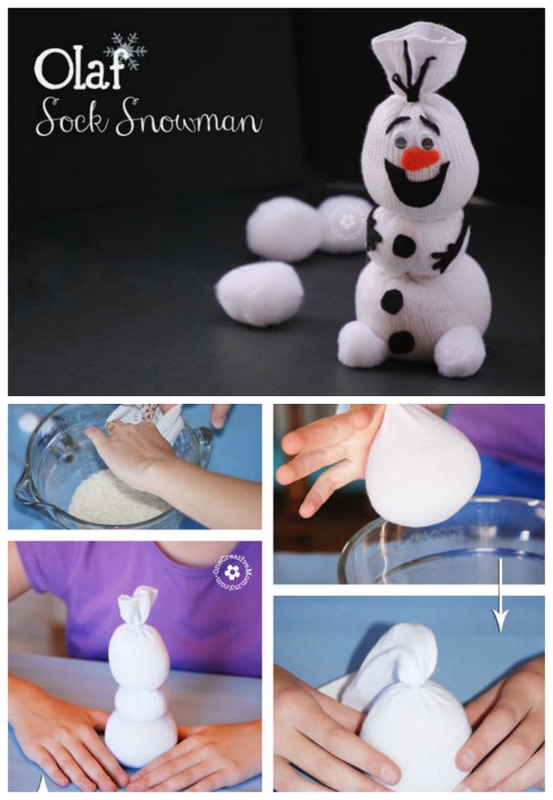 These Snowmen are from Handimania and they also have a video tutorial to show you how to make them. Crafts n Coffee have come up with another fabulous idea. 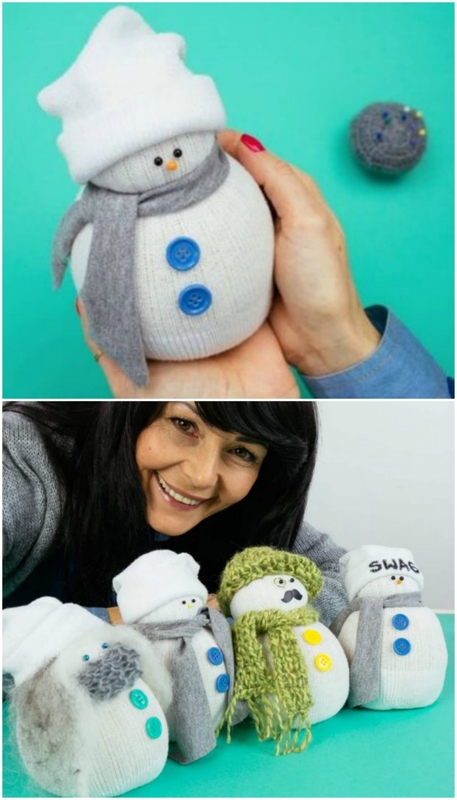 Turn your sock snowmen into a Swag! Doesn’t this look super cute and again, another very easy project that you can put together.